Sensifai offers automatic celebrity or famous people recognition in videos. Given an input video, this model will understand some of the most famous people in the world in Sagemaker platform. Powered by Sensifai's AI and face recognition technology, we have designed an easy-to-use interface which automates the recognizing famous people and celebrities with super accurate face recognition/identification system. This model can recognize more than 3000 famous people from all over the world. 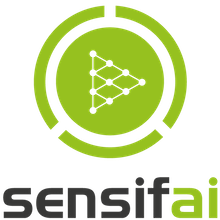 If you need services for other domains of video/image analysis, you can check our ready to use API or contact us directly (sales@sensifai.com). Usage Instructions: See example notebook for example usage. You may cancel your subscription at any time; However, we will not refund payments made by you under the agreement for any reason whatsoever.